Balboa Stadium actually belongs to San Diego High School, and is the largest High School stadium in the country. 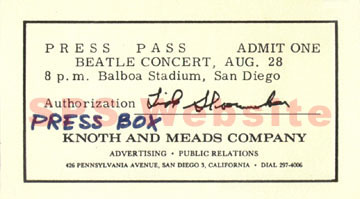 Balboa Stadium press pass. Click to enlarge.